Install Windows 10 in VirtualBox by Bas Wijdenes. In this blog post I will explain how to install VirtualBox and a Virtual Machine in VirtualBox. In this blog post I explain how you can install a Virtual Machine in VirtualBox. If you have Windows 10 Pro or higher, you can also use a built-in Windows Feature Hyper-v. If you do not have Windows 10 Pro, you can use VirtualBox as a virtualization tool. A Virtualization tool such as VirtualBox or Hyper-V let’s you run different OS or multiple virtual machines without having to install it directly on your PC. Start the installation in your downloads folder. How to install a virtual machine in VirtualBox. Keep the options as is. See the warning in the screenshot! After your click Yes you will be disconnected from the network. Click Yes when you’re ready. Select whatever option you want. 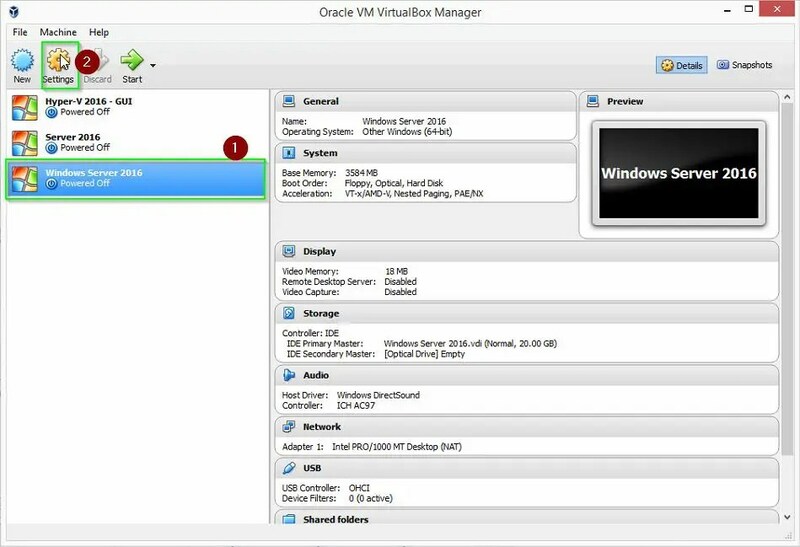 Keep Start Oracle VM VirtualBox after installation selected. Let’s create a new Virtual Machine. Pay attention. These steps are generic. For example, if you are installing Android, the steps below are incorrect. After the installation is finished the main screen will pop-up. Choose a Name what you want. I go for Windows Server 2016. Type requires for Windows is Microsoft Windows. Version choose wisely depending on your first two choices. Always look at the requirements of the virtual machine that you install. Also look carefully at the resources of the host and base the Memory on this. Read the text carefully. If you still don’t know what to choose select Dynamically allocated. Give the Virtual Hard Disk a name and size. Also look carefully at the resources of the host and base the HDD size on this. Select the virtual machine and click on Settings. The next steps are for yourself. We’ve successfully installed VirtualBox and a Virtual Machine ready to install your ISO on. I can’t help with the next steps since I don’t know what you’re trying to install. Still need help? Please leave a comment.